PepsiCo is gearing up to bring its global PepsiMoji campaign to the UK, emblazoning limited-edition Pepsi products with smiley faces. The initiative will see bottles and cans featuring custom emojis hit the shelves - giving people the chance to tell friends how they're feeling through the medium of cola. European activity will involve activating its UEFA Champions League 2016 sponsorship, with customers being given the chance to win tickets by scanning the emojis. 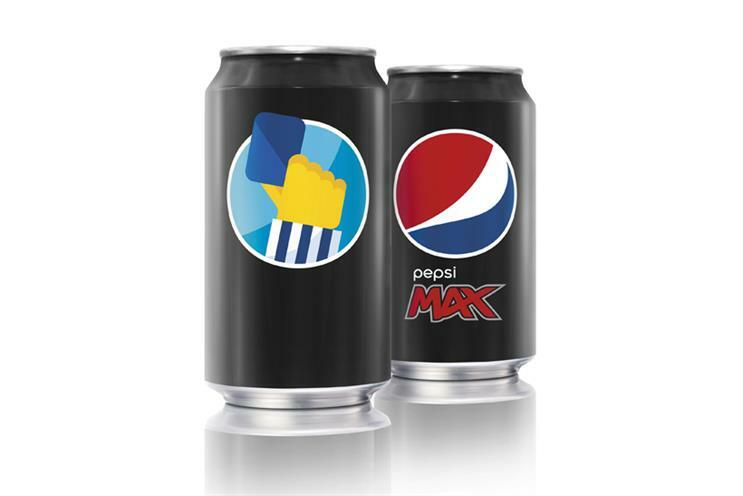 Those who download the Pepsi Max app for iPhone and Android and scan emojis on the limited-edition cans and bottles are in with a chance of winning tickets, including to the quarter finals. The augmented reality competition is already live on the app. A test run of #PepsiMoji launched last year in Russia, Canada and Thailand, with the campaign expected to extend to more than 100 markets this year. The brand also marked "World Emoji Day" on 17 July last year by releasing a #PepsiMoji keyboard for iPhone and Android.